Today I want to answer the question – what are the chemicals used to clean the faces of gutters. To understand what chemicals (if any) are needed to clean the exterior faces of your gutters – it’s best to look at what is the type of stain on the gutters. There are some organic stains, caused by algae and other organisms, that can simply be cleaned with high-pressure water. 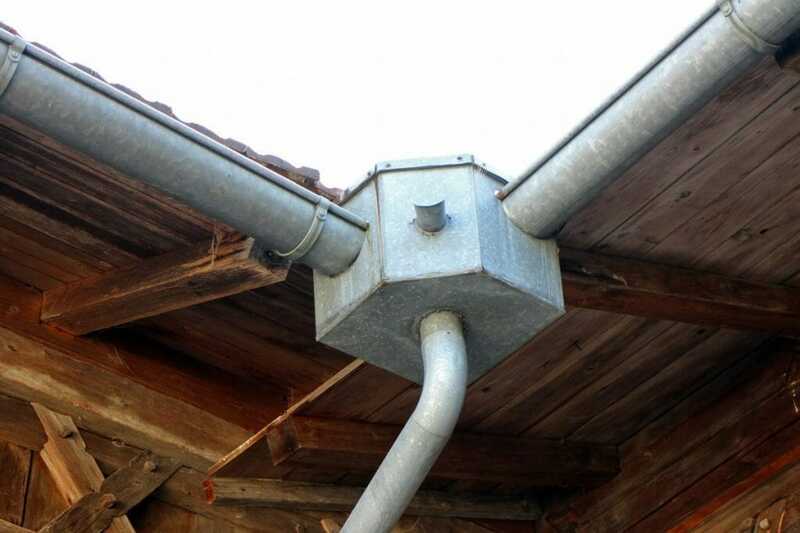 However, cleaning the exterior of gutters with a pressure washer can be difficult due to the height and accessibility of some stretches of gutters. Plus – water alone may remove the bulk of the stain, but oftentimes the spores and micro-organisms may still be left over and can regrow back very quickly. There are also non-organic stains, such as black stripes, that are caused by oxidation or runoff from the asphalt roofing material. These cannot be removed with water at all. To clean organic stains – most professionals use a very mild bleach solution along with a soap like Green Wash, that sanitizes the gutter face and kills the micro-organisms – making the clean last longer. Be careful how you apply the solution because it can spot clothes! Usually, this method requires 2 people working together, one cleans the faces, while the other protects plants and surrounding property. Chemicals like Gutter Butter, Gutter Zap, and Gutter Grenade can address the oxidation stains that occur on gutter faces. These chemicals also require a good deal of manual scrubbing as well to fully remove stains and get those gutters looking like new again! One important thing to look for is to use a company who uses biodegradable and eco-friendly products. If you have any additional questions or would like a free on-site estimate to get your gutters cleaned, please feel free to fill out the attached feedback form, and we will get back to you within 24 hours!